The president of Cambodia’s National Assembly blocked the opposition party’s attempt to interrogate members of Prime Minister Hun Sen’s cabinet over the investigation into the murder of popular analyst Kem Ley. Heng Samrin, who heads the National Assembly and is a leader of the ruling Cambodian People’s Party (CPP), refused to forward Cambodia National Recue Party (CNRP) lawmaker Eng Chhay Eang’s request to question the cabinet members to the legislative body. The move effectively prevents the National Assembly from questioning Interior Minister Sar Kheng and Justice Minister Ang Vong Vathana in an open session. A press release issued by the National Assembly said Kem Ley’s July 10 murder is still under investigation, and that it falls under the court’s jurisdiction and not the National Assembly’s. “The Kem Ley case falls under the court’s jurisdiction from the first stage, and both the National Assembly and the royal government have no right to interfere in court affairs,” the statement reads. The decision comes a day after it appeared that government officials might offer up some explanation about the slow pace of the investigation. Interior Ministry spokesperson Khieu Sopheak told RFA earlier this week that Sar Kheng plans to provide clarification on the investigation to the National Assembly, but the exact nature of the clarification was unclear. 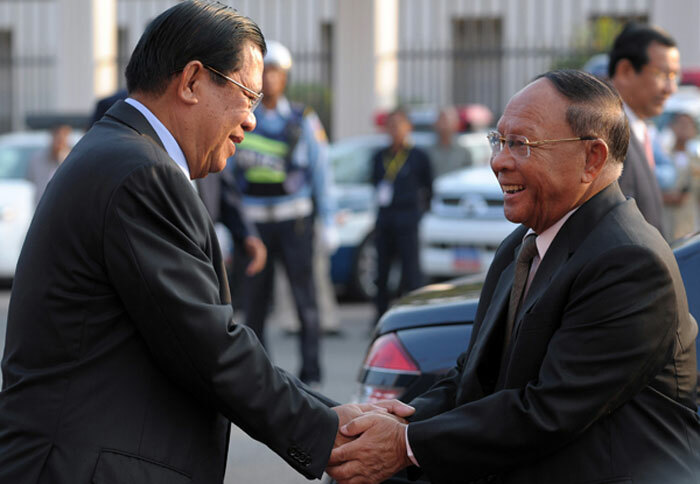 In addition to his role as interior minister, Sar Kheng also carries the deputy prime minister title. Eng Chhay Eang, who heads the National Assembly’s Human Rights, Complaints and Investigation Commission, told RFA that Heng Samrin’s logic is flawed. The Phnom Penh Municipal Court says the case is still open as the investigative judge, Seng Leang, is still pursuing it. Caltex is the brand name the Chevron Corporation uses in more than 60 countries in the Asia-Pacific region, the Middle East and Southern Africa. Caltex and Star Mart have declined to respond to RFA’s inquiries concerning the surveillance videos.